Most of the historical stories on the GI Nairobi, the Goans of the time in Kenya and other related issues are the work of J. Christie De Souza"
There is also the demi-official Railway Goan Institute which provides similar facilities for the Railway Officials for whom it is compulsory to become a member. Their membership is about 300, besides they have 100 honorary Goan members. Their president is a permanent European official, but the vice-president is elected by the general body. The Tailors' Society have a new building of their own with living quarters and a hall. This Institution is the oldest of its kind and is based on Trade Union lines. Practically every Goan tailor is a member and they hold their Annual gathering with great pomp and show under the universal Patron of Goa, St. Francis Xavier. They have a Provident Fund Scheme for its members. There is another institution, Santa Cruz Club which owns a very handsome building at Ngara. It consists of a Prayer Room, a large Hall and several living rooms. This is typical of Clubs in Bombay and elsewhere in India. They have their annual function in May with great festivity. They have Mutual Benefit Fund Scheme for its members. Then there is the institution which provides for the education of the Goan children. This is known as the Dr. Ribeiro Goan Oversea Association School, as Dr. Ribeiro was the main benefactor who donated the sum of Shs. 45,000/- all told in 1930. This School is very popular both among Goans and Indians. 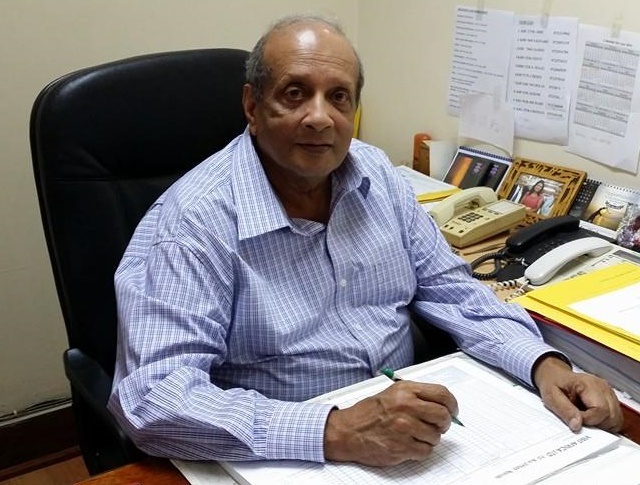 Dr. A. C. L. de Sousa has devoted his life time towards its progress and a secondary block is under construction. This is the Institution which certainly requires all the tact and attention to run it on proper lines as it means the future of our children and good citizenship of Kenya. The Goan Overseas Association which is supposed to look after the interest of the Goan Community in general has devoted all its time and energy after the School. This Institution could have served a far more useful purpose and taken up many questions of benefits to our Community, such as housing schemes which has only recently been done, commercial enterprises, etc. Unfortunately this institution has not received that full amount of support and co-operation as it should have done. However, there is a move to vivify it on proper lines and make it a really representative association of the Goans in Nairobi. Owing to the general Government policy of unifying the East African Territories, it has been felt necessary to form similar body of Goans to be known as East African Goan Conference with headquarters at Nairobi. Dr. de Sousa is the prime mover of this and has travelled all over lecturing on the merits of his scheme. Undoubtedly it is a move in the right direction. My feelings at the moment are that if such a movement does not do us any good it will not do us any harm and it would be premature to past a judgment until a fair trial has been given to it, and therefore deserves our support. The only joint commercial and economical venture of the Goans was the E.A. Goan Co-operative Society with an authorised capital of one milion shillings. It had a large provision and grocery store at Nairobi and a branch at Mombasa. The first Board of Directors was Dr. R. Ribeiro, O.B.E. (Chairman), Mr. J. M Nazareth, Mr. J. A. Dias, Mr. L. M. Noronha. Dr Manuel Ribeiro, Mr. J. M. George, Mr. Leo A D'Souza and Mr. J. Christie D'Souza with Mr Edward Moniz as the General Secretary. This co-operative movement was brought about by the hardships suffered by our Community during the war period in obtaining the necessities and Goans had at last realised that a concern of this nature was of double benefit to us all. The money spent by the Community was circulated within itself. The Society, however, received a half-hearted support of the Community and died a natural death. The next in importance among the social institutions, is the Goan Institute, Mombasa. It has a resident membership of nearly 400 and probably is the oldest Institute in the East African Territories. The old club house was situated near Fort Jesus, but in 1927 a very attractive double storeyed building was erected in a very prominent locality at a cost of Shs. 70,000/-. The plot was donated by the late Sir Ali Bin Salim an Arab Chief, known as the Liwali of the Coast, and a great benefactor of the Goan Community. His charities are numerous among all the communities. His large portrait and a Sword hangs in the Ballroom Hall. Among those who have given their best to this Institute is Mr. P. D'Mello, (Godgodo), Mr. Bell Carvalho, Mr. R. A. Oliver and many others and of the younger generation, Dr. B. Pinto, Dr. Figueiredo and Mr. E. T. Noronha. The sporting activities of this Institute are well maintained and the various teams have proved to be second to none at the Coast. The general activities of the Community are looked after by the Goan Community, a body embracing general membership. It runs a Goan School, training students for the Senior Cambridge. Plot for this building was also donated by Sir Ali bin Salim. The building consists of several class rooms and is situated in a prominent locality where Goans own private property and residences. The School has been run quite efficiently under the able direction of Mr. Ildefonso D'Souza and has produced satisfactory results. This Community also possesses a large area of land freehold and gets certain amount of revenue from it. Goans here are held in much respect both by the Arabs, Africans and Europeans and very friendly relationship prevails among the Indian communities. The Goan Institute, Kisumu, which lies on the shores of the great Lake Victoria, comes next in rank. This centre was very populous when the traffic to Uganda passed by rail to Kisumu and then by lake steamer to Port Bell. It has 100 resident members and a building consisting of a main hall which was extended in 1929 and a bar room Messrs. V. C. D'Mello, Norbert Gomes, C. M. Pinto, D. J. Paes, Dr. C. Raymond and Mr. Aloysius D'Mello devoted their best times in maintaining the Institute though at first many odds had to be faced in meeting the deficits. Recently other young men have kept its prestige by earnest and sincere work. The writer was resident there during 1934 to 1942 and feels obliged to mention the fact that much of his training in public life was obtained there when he was Secretary of the Institute for three consecutive years. The Goan Community caters for the needs of all the Goans and runs a school whose career has been rather haphazard. Its doors have remained closed more often than open. Great efforts were made in 1935 by running a raffle to maintain the School but after two years financial difficulties arose and it was closed down. The writer was the Secretary for nearly seven years of that body. Fresh efforts have now been made to carry on the School with the aid of a paid Sister from the Mission and other Goan teachers and though the same difficulties are experienced it is running successfully so far. The classes are held in the Institute Hall and there is a proposal to erect a small building. The Goan Institute, Nakuru, was a very popular institution in the past and had a member ship of nearly 50. It has a large hall with cloak and bar rooms. Besides it has two tennis and badminton courts. The Hall was recently enlarged. The Goan Community has a School run on similar lines as the Kisumu one, but has made better progress. A sum of money has been collected through the energetic efforts of its Secretary Mr. Basil D'Souza, and Dr. Vaz, its President and a school building has been erected. Eldoret was quite a prosperous town a few years ago after the Uasin Gishu Railway to Kampala was constructed and when most of the Government Departments and Banks had their offices there. The Goan population was as strong as Nakuru but in recent years has dwindled down as some Banks have closed their branches and many commercial firms have moved elsewhere. This happened particularly during the gold rush in 1932 to Kakamega. The building consists of a decent Hall and other ancillaries, but the ground has been vegetating for a considerable time. Three years ago efforts were made to renew it activities but I am informed not much success has been attained. It is a pity that Goans cannot agree among themselves to maintain this little Club house by mutual understanding and goodwill. It is hoped common sense will prevail and younger members will take keener interest and bring about unity and harmony among its members. It is also rumoured that a body known as Goan Community has been established as in other centres. All good luck to them. Kitale used to be quite a lively centre a few years ago when M/s. Adolf Carrasco, Joe D'Souza, Rangel, and others of the younger generation like Hilary D'Souza, Peter Fernandes and Francis Ferrao were stationed there. It has decent little Hall with all the ancillaries and its original membership was like the gauncars of Oxel, 13 and it is a surprise that a small community could have built such a pretty little Club house. It has tennis and badminton courts and is centrally situated among the Government and commercial quarters. There has been much shifting of Goan population from Eldoret and Kitale and this has greatly affected the prosperity of these two institutions. Nyeri, which lies almost at the foot of Mount Kenya, is a very healthy spot and has a Goan population of about 50 adults. There are a few Goan civil servants and the rest in the Banks. This forms the social side of the Goan Community. Mr. L. J. Dennis late of the Administration was a resident there for a quite a long period and took active part in the Goan affairs. Recently Goan young men have made a good effort to found a Goan Institute and have secured a piece of land from Government. All good luck to the enterprising young Goans. The writer was stationed there for about six months in 1940 and 1941 and remembers the tennis courts where some relaxation could be had. Prior to that there was another court run, in opposition, by Mr. Dennis and his followers which is now a grazing ground, the other was maintained hy Mr. Gama Pinto and his partizans. Now unity prevails. Entebbe is the Uganda Government's centre situated at the western end of the Great Lake Victoria. The Goan population consists entirely of civil servants. The Institute building has a Hall sufficiently large enough to accommodate 300 people and was built in 1905. Besides, there are the unusual amenities and indoor games. The membership is nearly 60 but the Goan population is slowly being reduced. At one time the number was much larger but as Bugandas are receiving higher education at the Makerere College, Asians are being replaced by them. There are only two Goan commercial firms of long standing. Excelsior Club which was started in opposition to the Institute and founded on wrong principles has gone the way it had come. The writer visited the place in 1937 with a team from G.I. Kisumu and has very happy recollections of the homely spirit that prevailed among them. Entebbe is only 22 miles run from Kampala and many of the people from these two centres visit one another quite frequently as Bus service connects the two towns. Kampala is the commercial centre of the Uganda Protectorate and is on top of a hill surrounded by six others. The town is like Mapuca Bazaar and the Goan population here is far greater than Entebbe. It is a credit to the Goans to have erected a very grand modern building which is an addition to the old one. It has a commanding frontage and the Hall is very spacious. The surroundings are quite asthetic and the famous Rubaga Catholic Cathedral and also the Protestant church can be seen on top of two other hills. The Club is situated in the midst of Government Asian quarters and therefore very conveniently located. Though there have been a few storms in this Institute, the spirit prevailing is a credit to the Goans. Among the East African Territories Kampala is the only town where Goans have established themselves firmly in trade. Late Mr. Norman Godinho had been a pillar in the local Goan affairs and a great benefactor. He donated the whole cost of the Goan School building which at first was conducted by the Goan Community but has now been handed over to Government. The Goan Community or the Goan Union as it is known has had ups and downs and generally looks after the communal affairs which are far and few between. The Tailors' Society also has a new building and its branch at Kampala is as popular as in Nairobi. Jinja is the military headquarters of the Uganda Government and is the third town of importance. The Goan population is about 100 and that little community has an Institute building and also a School, the latter having been taken over by Government. In this town there are many Goan firms doing prosperous business. This town has now gained further importance by the harnessing of the River Nile and the erection of Owen Falls Power House which will supply electricity even to Kenya. Dar es Salaam is the capital of Tanganyika Mandated Territory. The Goan Community there is as large as Mombasa. The Institute is an old building and has a membership of nearly 300. The local affairs are managed by the Goan Community. There is also the Goan Sports Club and Friends Union which look after certain respective interests. A Goan School building has been erected. Tanga Goans founded the Goan Association to cater for the social needs of the resident and upto now have done well. Recently a Goan Institute has been founded by a few who could not see eye to eye with the managements of the Association. It is a surprise to me that where in other smaller centres Goans cannot afford to maintain one institute, that Tanga can run two. Zanzibar is the place where Goans landed first when coming to these territories. Goans here have given their best service to the various Sultans of Zanzibar. Many Goans have held officers rank with great credit to themselves and to the Community. Names of Dr. Albuquerque and others have been written in letters of gold in the history of Goan settlement in Zanzibar. The Institute consist of a large hall and other amenities. This is another place where Goans have built up reputation in business. The Goan Sports Club caters for the sporting needs of the Goan young men.